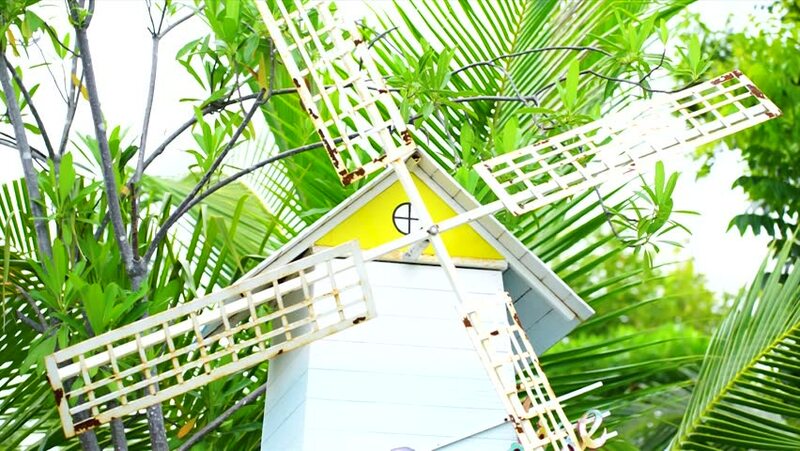 Mini wind turbine in the garden. hd00:31SAN FRANCISCO, - APRIL 03: Exotic Plants in the Conservatory of Flowers at Golden Gate Park. April 03, 2014 in San Francisco, California, USA.